British satellite broadcaster Sky is sweetening its Now TV streaming service by adding ten of its entertainment channels as a contract-free option. The company’s new Now TV Entertainment Month Pass is priced at £4.99 per month, and gives subscribers unmetered access to a back-catalogue of content and the following channels: Sky 1, Sky Atlantic, Sky Living, Sky Arts 1, Discovery, MTV, Comedy Central, GOLD, Disney and FOX. 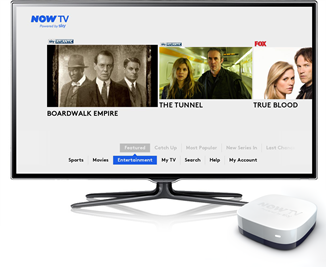 Now TV currently offers monthly packages for its sports and movie channels, though the entertainment pass comes in at a more affordable — albeit ‘introductory’ — price. Full Sky Sports access is a great idea, but it costs a whopping £9.99 for a single day.